The press release was also published in the leading news sections of more than 15 media outlets. REDWOOD CITY, Calif., April 10, 2019 – Equinix, Inc. (Nasdaq: EQIX), the global interconnection and data center company, held a launch event to celebrate its second Sofia International Business Exchange™ (IBX®) data center on April 9th. The new state-of-the-art data center is located within close proximity to the first Sofia interconnected data center. It will support Bulgarian companies in their journey to transform their businesses through interconnection with digital supply chain partners, cloud adoption, and access to new markets around the World. Local government officials, customers, partners and media had the opportunity to network and got an exclusive preview to Equinix’s new state-of-the-art facility. Guests learnt more how Interconnection can empower businesses to quickly and dynamically respond to transforming IT infrastructure through Equinix’s global platform. They got to know more about how Equinix provides a secure environment for local businesses and multinationals who are looking to connect and/or expand into Eastern Europe and the Middle East. Equinix data centers feature a total of 2.6M square feet of colocation space in Europe and the Middle East and access to leading financial, commercial, manufacturing and telecommunications marketplaces. The $19M IBX is a unique, from a technological point of view, reinforced concrete building with plenty of light and thick load-bearing plates. It meets customer demand by providing approximately 350 cabinets in the first phase of build out with the opportunity to add 1,100 cabinets in subsequent phases in short time. The infrastructure of the new facility is seen for the first time in Bulgaria on this scale. It uses 100 percent green energy, a practice that Equinix’s original Sofia data center has leveraged since 2016. 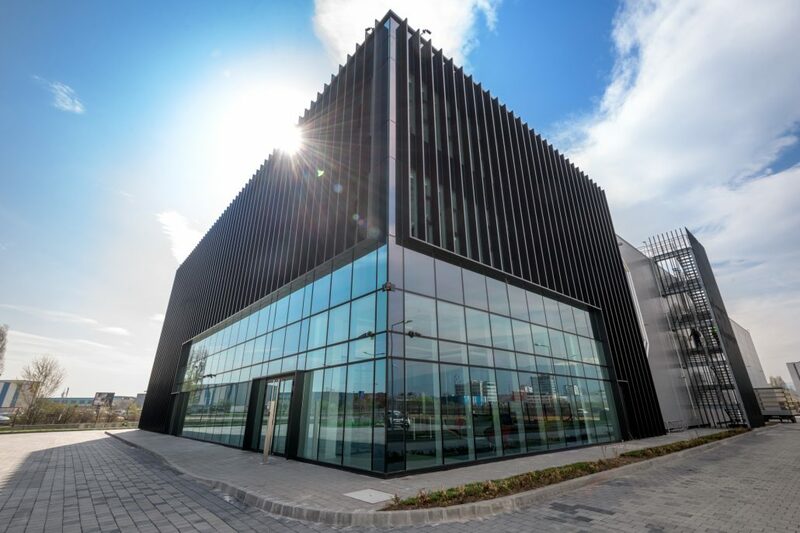 The new facility enables customers in the region execute their digital transformation strategy, digitise their business and reach into 52+ markets on Platform Equinix in the most connected data centers in Bulgaria and worldwide. According to the Global Interconnection Index, a market study published by Equinix, the growth rate of interconnection bandwidth – the private exchange of data between companies, away from the public internet – will outpace the growth of internet traffic by nearly two times, and will be 10 times the volume by 2021. Interconnection in Europe is expected to grow 44% per annum to reach 1,450+ Tbps by 2020, contributing more than a quarter (29%) of Interconnection Bandwidth globally. Equinix, Inc. (Nasdaq: EQIX) connects the world’s leading businesses to their customers, employees and partners inside the most-interconnected data centers. In 52 markets worldwide, Equinix is where companies come together to realize new opportunities and accelerate their business, IT and cloud strategies. www.equinix.com.